This international copyright law quiz is important even if you never travel outside your own country. If you’re on the internet, then international copyright affects you. This is true whether you’re posting a video clip or illustration online, or a 50-page document — and therefore publishing it globally — or viewing or downloading a video clip or infographic you want to use on social media or in a work presentation. What do you need to know about global copyright law? 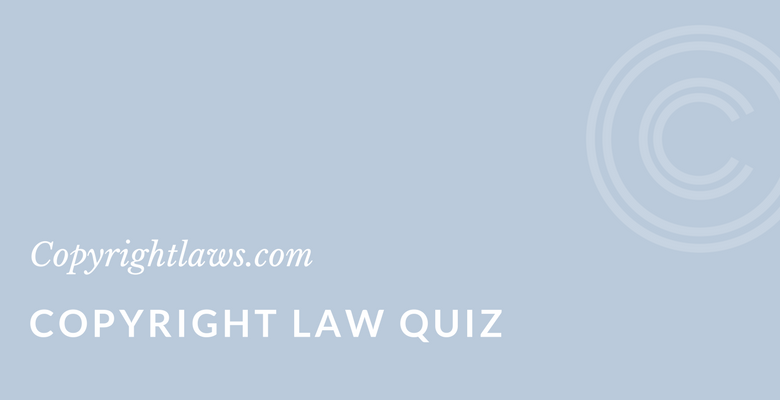 Our international copyright law quiz highlights important concepts about global copyright law and provides an outline of the sorts of issues you need to be familiar with. Also see International Copyright Law 101 for a primer on global copyright law. 3. All countries have the same copyright duration: life-plus-fifty or 50 years after the author’s death. 4. If you have permission to reproduce an image in one country, you may not reproduce the image in a different country without also getting permission for that country. 6. There's an international copyright registry where anyone may file an application for worldwide copyright protection. 8. The way that international copyright law works is that you apply the copyright law of the law of the country where the work is being copied. 9. All countries protect the reputation of an author of a copyright-protected work in perpetuity in terms of the author being able to claim authorship and prevent modifications of their work that may be prejudicial to their honor or reputation. 10. Digital copyright issues are treated in a universal manner subject to a single copyright treaty, whereas analog copyright issues are dealt with on a country-by-country basis. Want more copyright tips and information? Subscribe to our weekly email and grow your copyright knowledge.